SACRAMENTO, Calif. (CN) – Utilities in California will be able to bill customers to help pay for legal settlements associated with the catastrophic wildfires in 2017, thanks to Governor Jerry Brown’s signature on a hotly contested bill Friday. 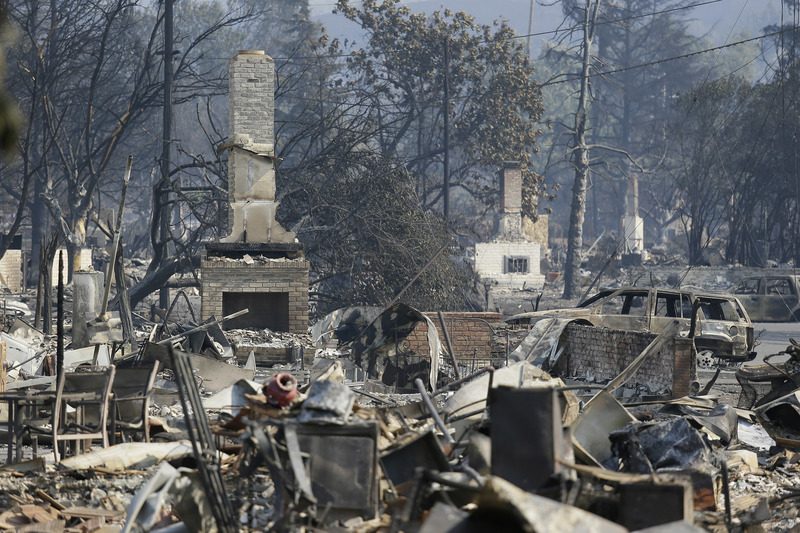 Senate Bill 901 allows Pacific Gas & Electric to recover costs from their customers even if last year’s blazes are found to be caused by the company’s negligence. Lawmakers said the utilities need flexibility to raise money for increasingly astronomical monetary settlements associated with wildfires that were found to be caused by faulty equipment, lack of maintenance or other instances of negligence. Critics of the bill said it’s yet another instance where customers and regular ratepayers have to pay the price for company malfeasance, while the company and executives responsible flourish. The bill also updates utility requirements for infrastructure operation and maintenance, and devotes more resources to forest management. In that area, the state faces a monumental task: the recent 5-year drought killed 102 million trees in California’s forests, and millions more are just now showing the effects of the historic dry spell. “This new law is the most comprehensive wildfire prevention and safety package the state has passed in decades,” said Senator Bill Dodd, D-Napa, co-author of the bill. “It will help prevent further loss of life and property while ensuring ratepayers aren’t left holding the bag. Dodd’s district was one of several in the North Bay region to be devastated by a spate of wildfires that sparked in early October 2017. Hurricane-force winds caused several utility poles to fail or wires to come loose, interacting with vegetation and sparking several fires that eventually grew into the most economically damaging firestorm in state history. To date investigators have determined 16 of the wildfires that broke out in the region were caused in part by PG&E’s equipment. The utility has frequently said it will be forced into bankruptcy if it has to pay for the estimated billions in economic damage. The Tubbs Fire, the most economically destructive of the 24 major wildfires, ripped through the city of Santa Rosa. The blaze destroyed entire neighborhoods in the town of 175,000 and killed 22 people. The cause has yet to be determined. If PG&E is deemed culpable for that fire, it could be on the hook for nearly $10 billion. Critics of the bill claim it favors the rich investor class over middle and lower-income ratepayers. Critics also point out PG&E spent more money lobbying the state government than any other entity in California, paying about $1.7 million in attempting to recruit lawmakers to their perspective. Lawmakers on both sides of the aisle say the bill is necessary as climate change makes large economically devastating wildfires more commonplace and the issue of financial culpability becomes more burdensome and complex. The state’s courts have consistently held electric utilities responsible for wildfires that occur as a result of their equipment, even if routine maintenance and safety inspections have been performed. The California Public Utilities Commission requires utility companies to shoulder the costs when mismanagement or negligence plays a role in a fire’s origin. For instance, San Diego Gas & Electric ultimately paid more than $2 billion in damages related to its role in a 2007 wildfire. If PG&E is ultimately found responsible for the Tubbs Fire and the other North Bay fires, customers could be paying a surcharge on their monthly bills for the next 20 years, Dodd told the Associated Press. Customers can expect to pay an additional $5 for every billion dollars PG&E must finance.